The authors propose to initiate a process for the establishment of an independent high-level commission of eminent persons (i) to examine the changing policy environment for civil society organizations in many countries, (ii) to review the reasons behind the shrinking space civil society encounters in some parts of the world and its steady development in others, and (iii) to make concrete proposals for how G20 countries and civil society can relate in productive ways in national and international contexts. Domestically and internationally, the rates at which civil society organizations (CSO) are being created slowed down significantly (www.uia.org; Anheier 2017). Competition for financial resources intensified, putting pressure on capacity and sustainability, while at the same time, many countries adopted austerity budgets or shifted priorities and reduced public spending in areas where CSOs are typically active, from social service, health care and education to environmental sustainability or international assistance (OECD Social Expenditure Update). Many countries either have or are considering introducing stricter regulations of CSOs, usually around issues of tax exemption and finance as well religion and advocacy (www.icnl.org). Internationally, changing geopolitics led to more restrictions on the cross-border operations and transactions of CSOs. Some G20 countries have imposed stricter controls of CSO-related financial flows and operations, often in the context of anti-terrorist measures (www.fatfplatform.org). Civil society itself is changing: advances especially in information and communication technologies and social innovations facilitated the growth of cyber activism, lobbying and even new international movements (Della Porta and Felicetti 2017; Hall 2017). Civil society is a highly diverse ensemble of many different organizations that range from small neighborhood associations to large international NGOs like Green Peace, and from social service providers and relief agencies to foundations commanding billions of dollars. It is an arena of self-organization of citizens and established interests seeking voice and influence. Located between government or the state and the market, it is, according to Ernest Gellner (1994: 5) that “set of non-governmental institutions, which is strong enough to counter-balance the state, and, whilst not preventing the state from fulfilling its role of keeper of peace and arbitrator between major interests, can, nevertheless, prevent the state from dominating and atomizing the rest of society.“ For John Keane (1998:6), civil society is an “ensemble of legally protected non-governmental institutions that tend to be non-violent, self-organizing, self-reflexive, and permanently in tension with each other and with the state institutions that ‘frame’, constrict and enable their activities.” Taken together, CSOs express the capacity of society for self-organization and the potential for peaceful, though often contested, settlement of diverse private interests. Civil society organizations (CSOs) represent interests and advance causes that may or may not be deemed in the public benefit by a particular government or political parties, and, indeed, businesses and other CSOs. But by most measures, most CSOs are serving the public good. Yet there are grey areas between advocacy and politics as there are between profit-seeking and nonprofit making activities or between influence and interference. Indeed, regulations are needed to regulate and control the borders between government, business and civil society, as John G Simon et al argued (2006), and to do so both nationally as well as internationally. First, CSOs are increasingly part of new public management approaches and what could be called a mixed economy of welfare with a heavy reliance on quasi-markets and competitive bidding processes. Expanded contracting regimes in health and social service provision, voucher programs of many kinds, and public-private partnerships are examples of this development. In essence, this policy approach sees CSOs as more efficient providers than public agencies, and as more trustworthy than for-profit businesses in markets where monitoring is costly and profiteering likely. Second, they are seen as central to building and rebuilding the realm of civil society itself, and for strengthening the nexus between social capital and economic development. Attempts to revive or strengthen a sense of community and belonging, enhance civic mindedness and engagement, including volunteering and charitable giving, are illustrative of this perspective. With the social fabric changing, civic associations of many kinds are seen as the glue holding increasingly diverse societies together. The basic assumption is that people embedded in dense networks of associational bonds are not only less prone to social problems of many kinds but also economically more productive and politically more involved. Third, CSOs are part of a wider social accountability perspective that sees these organizations as instruments of greater transparency, and heightened accountability for improving governance of public institutions and business alike. Such mechanisms include citizen advisory boards, community councils, participatory budgeting, public expenditure tracking, monitoring of public service delivery, and consumer protection in many markets and fields. The underlying premise is that conventional accountability enforcement mechanism like elections, public oversight agencies and the media are falling short; CSOs are to become the social whistleblower and advocates for voices that would otherwise remain unheard. Finally, there is the policy perspective that views CSOs as a source of innovation in addressing social problems of many kinds. Indeed, CSOs are assumed to be better at such innovations than governments typically are: their smaller scale and greater proximity to communities affected and concerned makes them creative agents in finding solutions. Governments are encouraged to seek a new form of partnership with CSOs aimed at identifying, vetting and scaling up social innovations to build more flexible, less entrenched, public responses. Resource inadequacy, whereby goodwill and voluntary contributions alone cannot generate resources adequate and reliable enough to cope with many of the problems facing G20 countries. Paternalism, whereby CSO services represent neither a right nor an entitlement but are at the discretion of particular interests that may not necessarily reflect wider social needs, let alone the popular will. The challenge is clear: how can the advantages CSOs offer to society, and indeed to governments, be strengthened while minimizing any disadvantages? What is the right policy framework for governments and CSOs to balance their respective interests while realizing the potential of civil society? What rules and regulations, measures and incentives would be required? What balance between public control and public support is adequate? Unfortunately, in recent years, many measures and regulations try to control rather than enable CSOs. Governments seem unclear as to what role or roles CSOs can assume in future, and what priorities to set. Some see them primarily as service providers and shun their advocacy potential, others see them as laboratories of new ideas and innovations, and others yet see them interfering the policy process, seemingly trying to influence if not dictate governmental agendas. As Table 1 for G20 countries and Table 2 for a sample of other countries show in section “Existing Agreements, Policies and Monitoring”, governments send contradictory signals, and it is unlikely that CSOs can be service providers without being advocates and generators of social trust without operating as accountability enforcers. At one level, CSOs become parallel actors that may complement or even counteract state activities, and compete with business. At another, the state and CSOs are part of ever more complex and elaborate public-private partnerships and typically work in complementary fashion with other agencies, public and private. Both are possible, as traditional notions of public benefit and public responsibilities have shifted from the state to other actors, which bring in the role of nonprofit organizations as private actors for the public good. The role of the state as ‘enabler’ and ‘animator’ of private action for public service has increased, and will continue to do so. This, in turn, will continue to push and pull CSOs in all the four directions illustrated by the various perspectives; amounting, in the end, to a positioning that is as contradictory as it is dynamic, and as unsettled as it is increasingly recognized vital and important in economic, social and political terms. In societies with different views of the public good, civil society creates institutional diversity, contributes to innovation and prevents monopolistic structures by adding a sphere of self-organization next to that of state administration and the market. Indeed, as we have seen, economists have suggested that the very origin of the nonprofit sector is found in demand heterogeneity for quasi-public goods — yet it is only now that we begin to understand the policy implication of such theorizing when looked at through a sociological lens: Civil society can become a field of experimentation, an area for trying out new ideas that may not necessarily have to stand the test of either the market or the ballot box. In this sense, CSOs add to the problem-solving capacity of modern societies. Yet these potentials have to be balanced against the weaknesses of CSOs, which also calls for policy responses seeking a balance between controlling and enabling measures in terms of regulation and support. Civil society, challenged in many ways yet harboring huge potential, finds itself at a crossroads. It is time to act, and chart a way forward. Fifteen years after then Secretary General Kofi Annan initiated the first ever panel to examine UN-civil society relations (the Cardoso Report, 2004); it seems urgent to revisit the role of CSOs in a geopolitical environment that has radically changed. There is an urgent need to cut through the cacophony of policies regulating CSOs, as Tables 1 and 2 show, and to point to policy options. Therefore, we propose an independent high-level Commission of eminent persons to examine the contradictory policy environment for civil society organizations, and to review the increasingly complex space civil society encounters domestically as well as internationally. Working closely with, but independently of, the Civil-20, the Commission is to make concrete proposals for improvements. Review the policy environment for CSOs and identify its strengths and weaknesses across the G20 countries. Propose model regulations for different legal and political systems, and for the four roles allocated to CSOs in the context of CSO comparative advantages and disadvantages. Point to areas for legislative reform as to the regulatory and enabling functions of the state. Identify best practices in government – civil society as well as business – civil society relations. Explore the possibility of a future observatory of civil society, especially at the international level, perhaps linked to the Civil-20. We further propose that the process for such an independent commission should be initiated under the German Presidency of the G20, and to be taken up by Argentina, as it prepares to take over the Presidency for 2018. At the G20 summit in Argentina that year, the Commission is to report to G20 member states. Anheier, Helmut K. (2014) Nonprofit Organizations: Theory, Management and Policy, 2nd edition, fully revised and expanded, New York, NY, London: Routledge. Anheier, Helmut K. and Hammack, David (2013) A Versatile American Institution: The Changing Ideals and Realities of Philanthropic Foundations, Washington, DC: Brookings. Della Porta, Donatella and Felicetti, Andrea (2017) Democratic Innovations and Social Movements, in Hertie School of Governance (ed. ), The Governance Report 2017. Oxford: Oxford University Press, 127-142. Hall, Nina (2017) Innovations in Activism in the Digital Era: Campaigning for Refugee Rights in 2015-16, in Hertie School of Governance (ed. ), The Governance Report 2017. Oxford: Oxford University Press, 143-156. Gellner, Ernest (1994) Conditions of Liberty: Civil Society and Its Rivals, London: Hamish Hamilton. Keane, John (1998) Civil Society: Old Images, New Visions, Cambridge: Polity Press. Simon, John G./ Chisolm, Laura B. / Dale, Havey P. (2006) The Federal Tax Treatment of Charitable Organizations, in Walter W. Powell and Richard Steinberg. (Eds. ), The Non-Profit Sector: A Research Handbook, Yale University Press. We propose that the process for such an independent commission should be initiated under the German Presidency of the G20, and to be taken up by Argentina, as it prepares to take over the Presidency for 2018. As part of this transition phase, a group of initiators with representatives of the German and Argentinian governments plus the authors of this brief are to formulate the charge to the Committee and to suggest potential members for confirmation by Argentina. Each G20 country should be invited to propose Committee members. 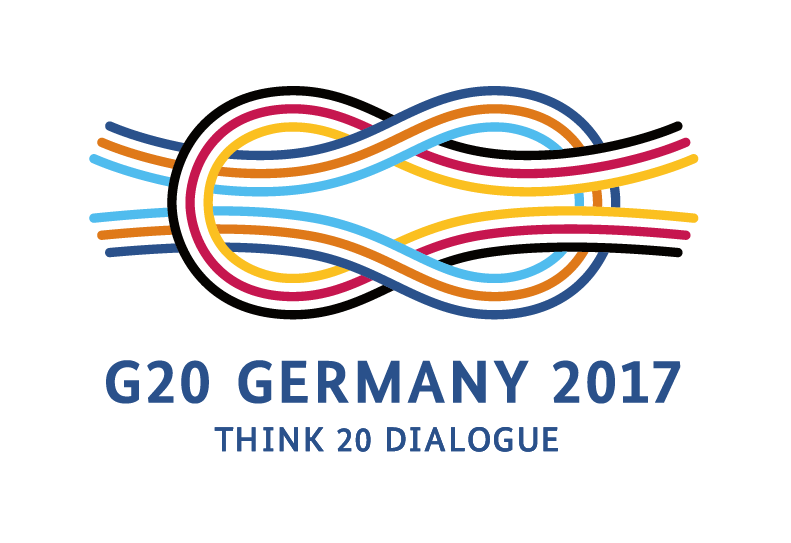 At the G20 summit in Argentina in 2018, the Commission is to submit its final report to G20 member states. It is responsible for accrediting non-governmental organizations with consultative status at the United Nations. Established in 1946, it reports directly to the Economic and Social Council (ECOSOC). It is a unique international forum of many of the largest funders of aid. The World Bank, International Monetary Fund (IMF) and UNDP participate as observers. It promotes development co-operation and other policies so as to contribute to sustainable development, including pro-poor economic growth, poverty reduction, improvement of living standards in developing countries, and a future in which no country will depend on aid. The Civic Solidarity Platform (CSP) is a network of over 70 human rights organizations from numerous OSCE member states, active within the OSCE. The CSP advocates human rights issues in OSCE bodies and in member states, and organises NGO conferences and workshops on current policy issues. It is responsible for the annual parallel NGO conference that convenes before the OSCE Ministerial Council, where demands to the OSCE are phrased and recommendations are adopted. Committed to European integration, the EESC contributes to strengthening the democratic legitimacy and effectiveness of the European Union by enabling civil society organizations from the Member States to express their views at the European level. ICNL seeks a legal environment that strengthens civil society, advances the freedoms of association and assembly, fosters philanthropy, and enables public participation around the world. The purpose of these two tables is not to support any argument that only minimal regulations for CSOs would be required in most circumstances; rather they are to illustrate that, frequently, regulations hinder, obstruct and even contradict the potentials they harbor for economy and society.